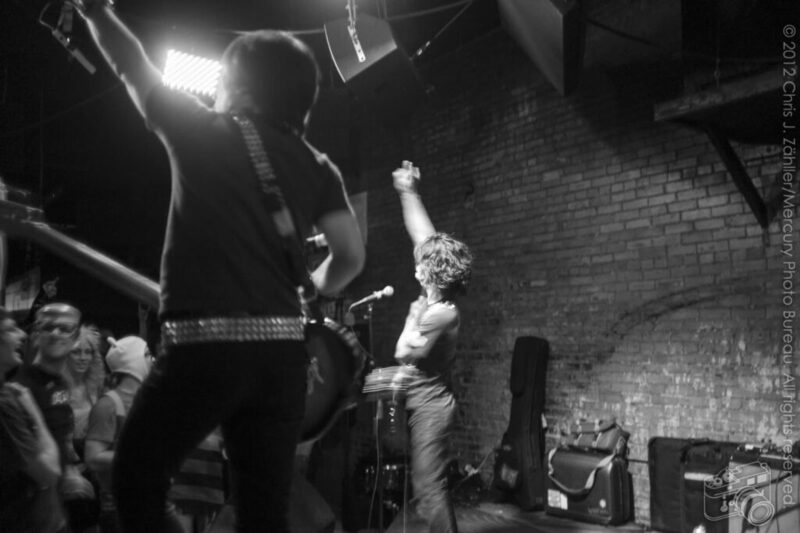 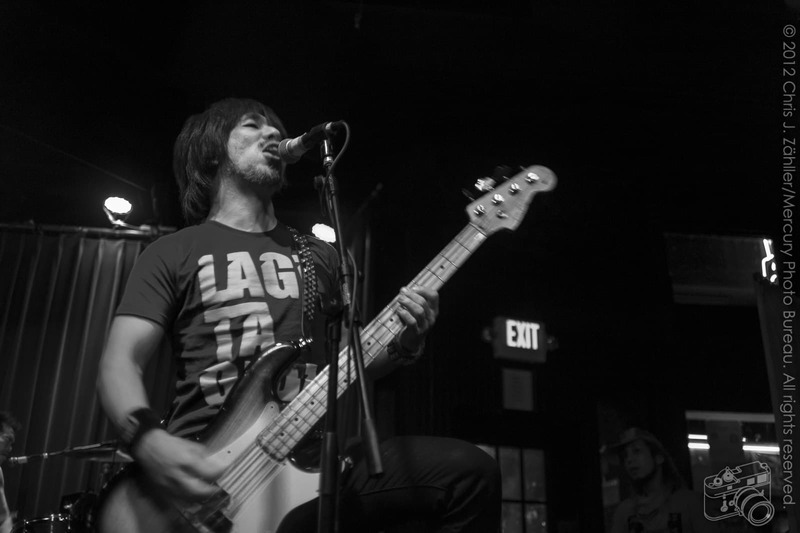 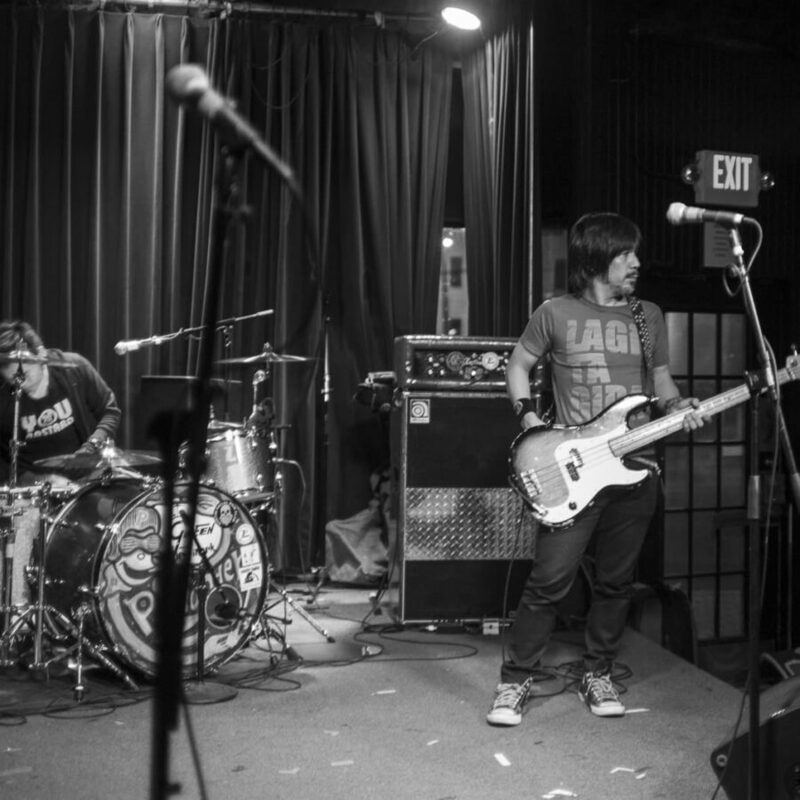 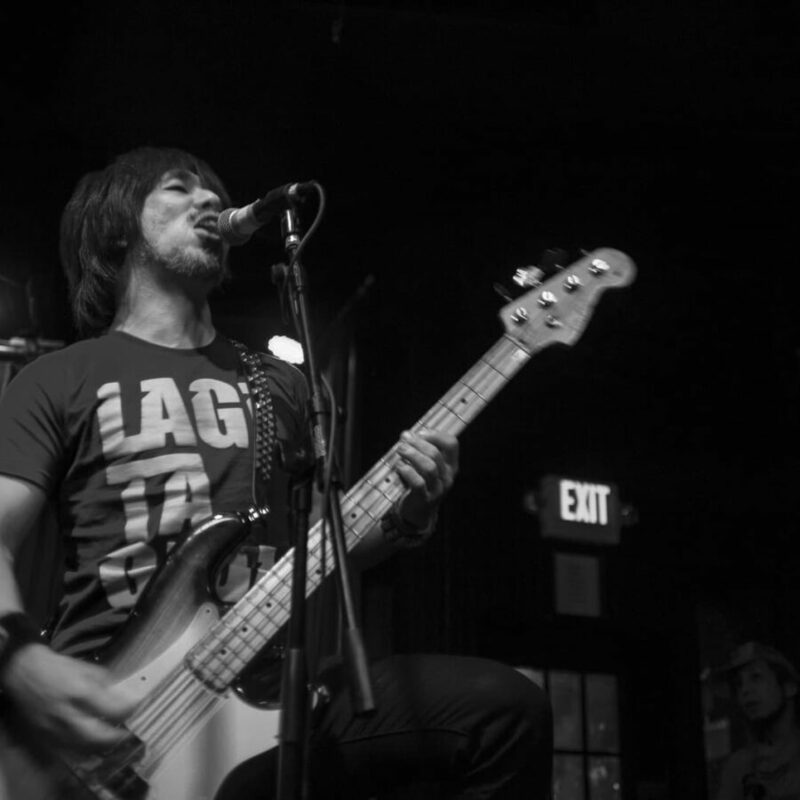 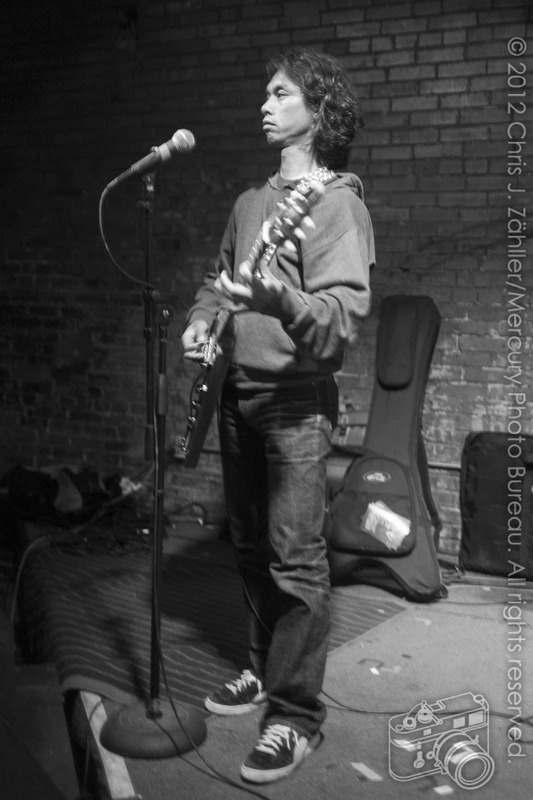 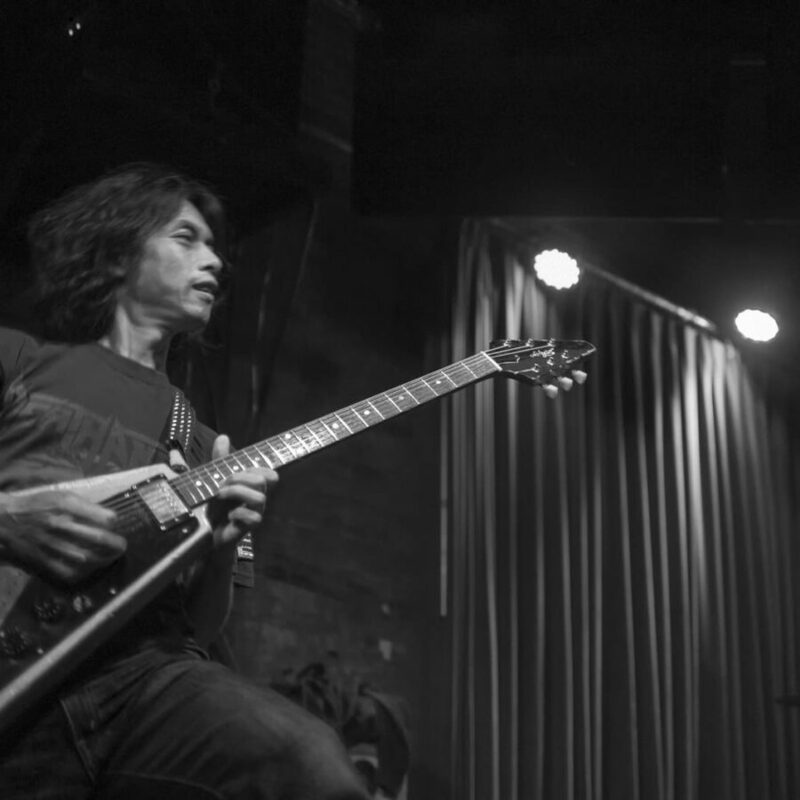 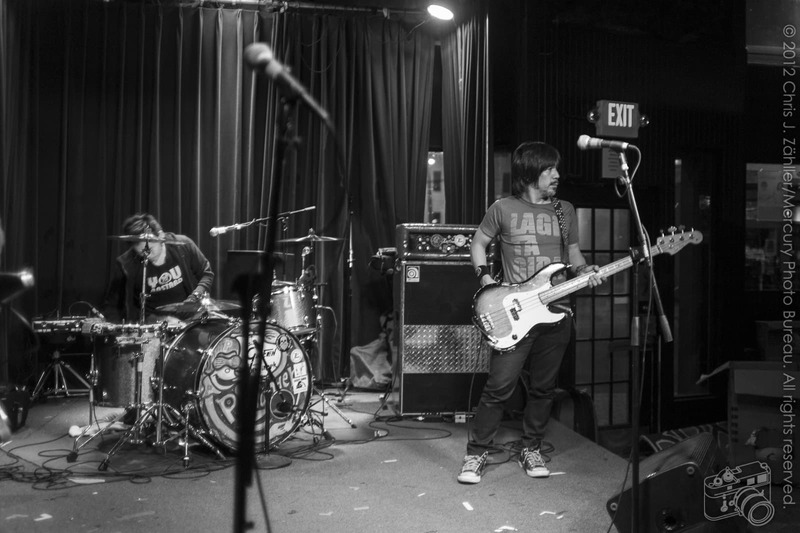 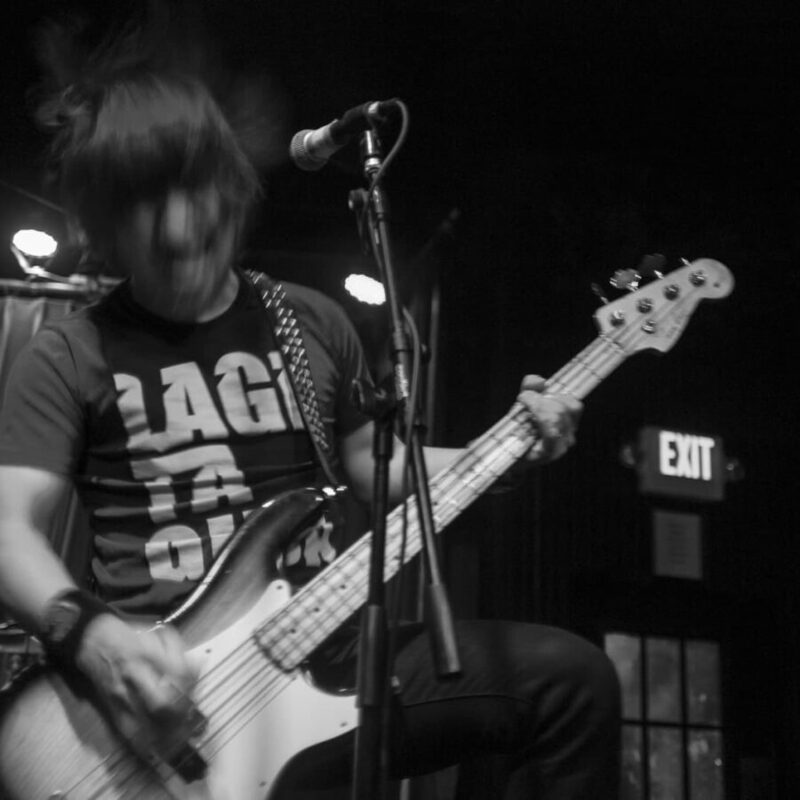 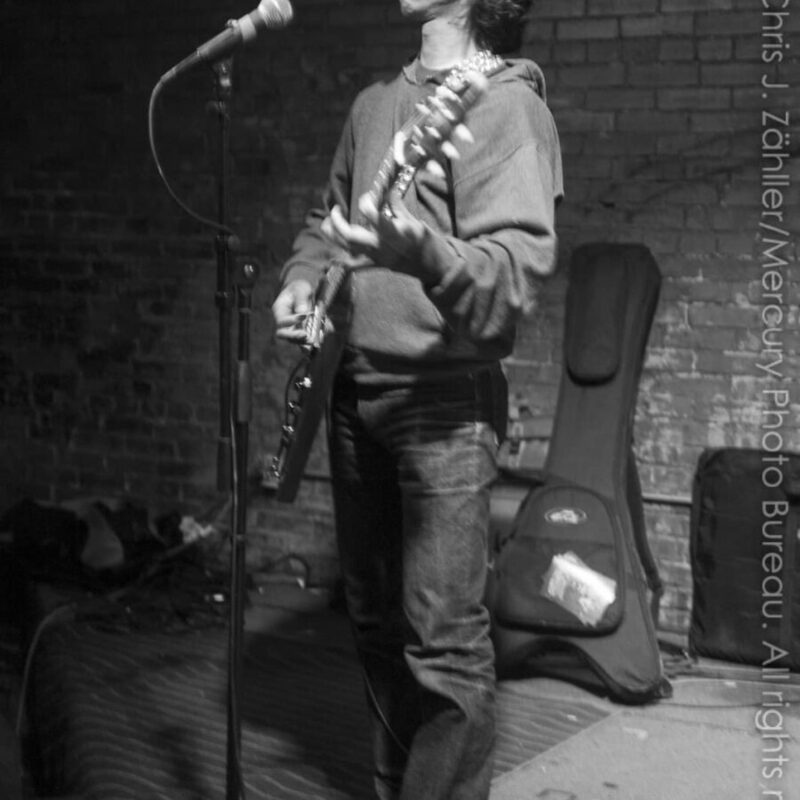 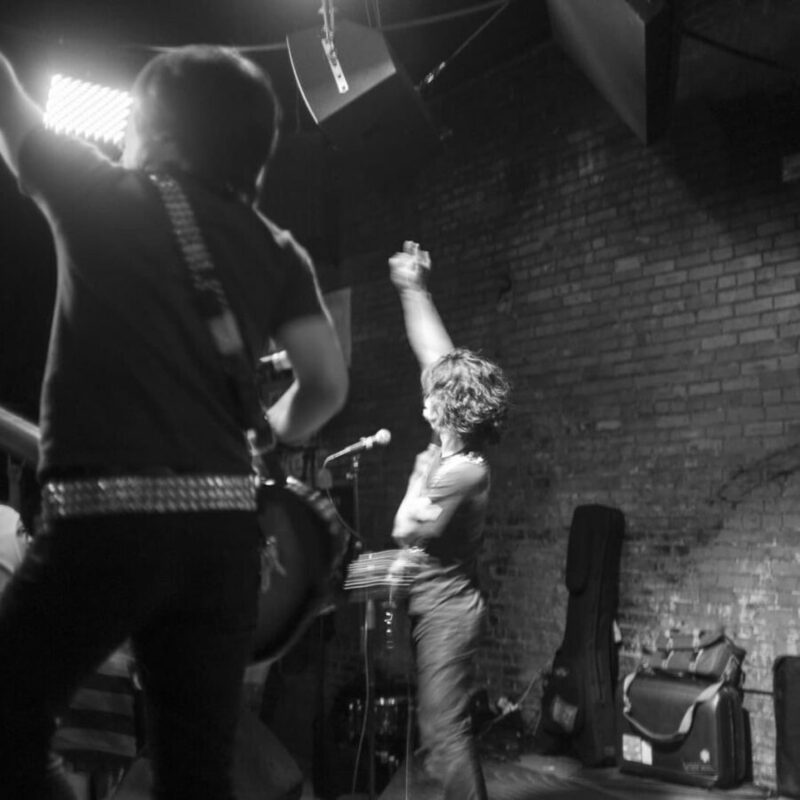 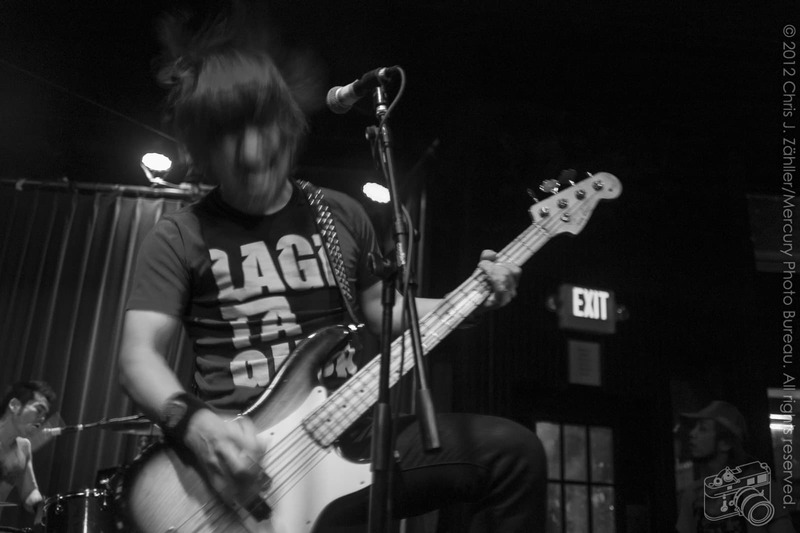 Citing Van Halen, Aerosmith, and Guns and Roses among their pri­mary influ­ences, Japanese rock­ers Electric Eel Shock astounded the audi­ence gath­ered to see Peelander-Z play a Hallowe’en show at Dallas’s Club Dada. 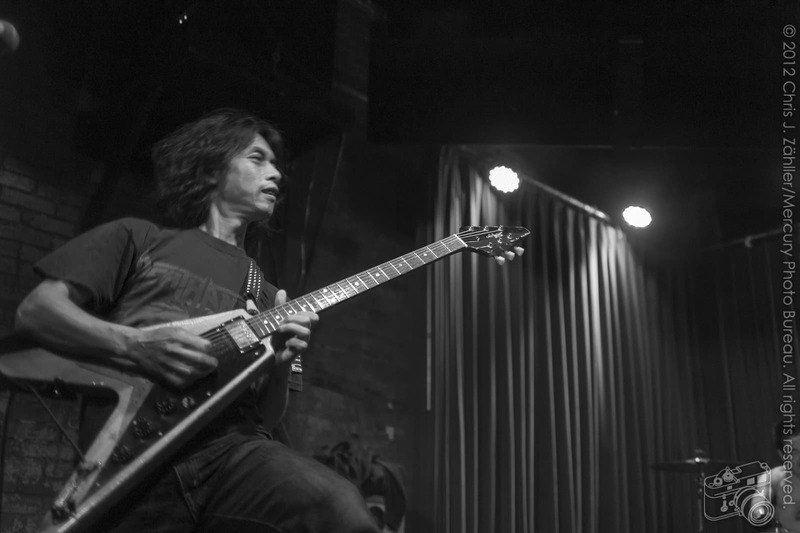 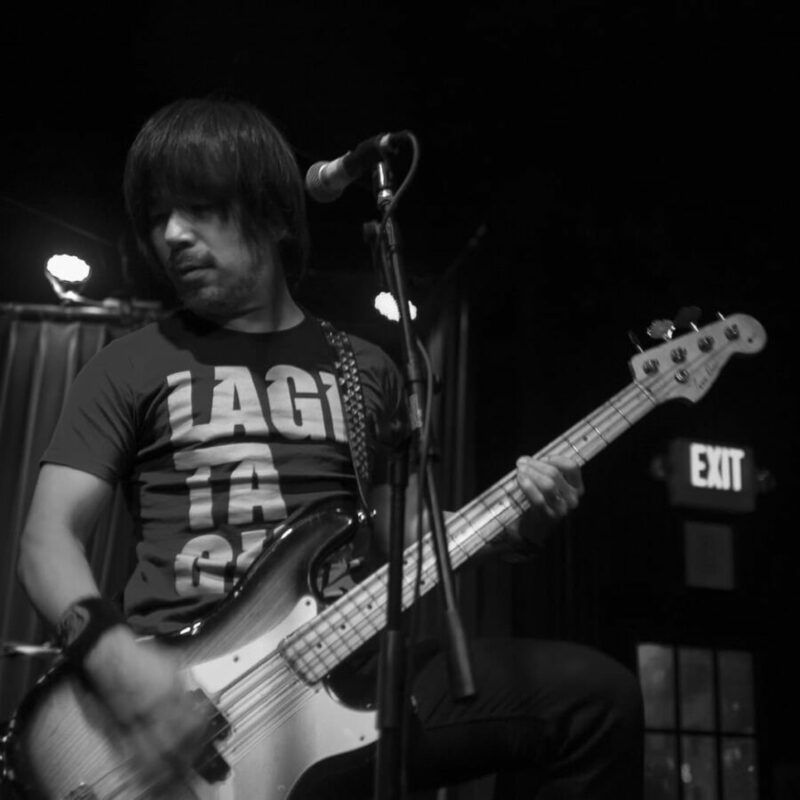 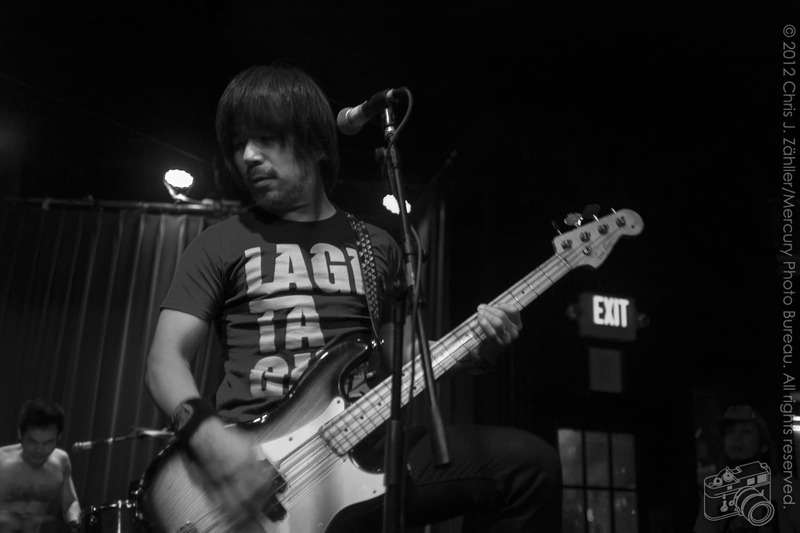 Guitarist Akihito Morimoto and bassist Kazuto Maekawa first met in school at Osaka and quickly bonded over their mutual love of Black Sabbath. 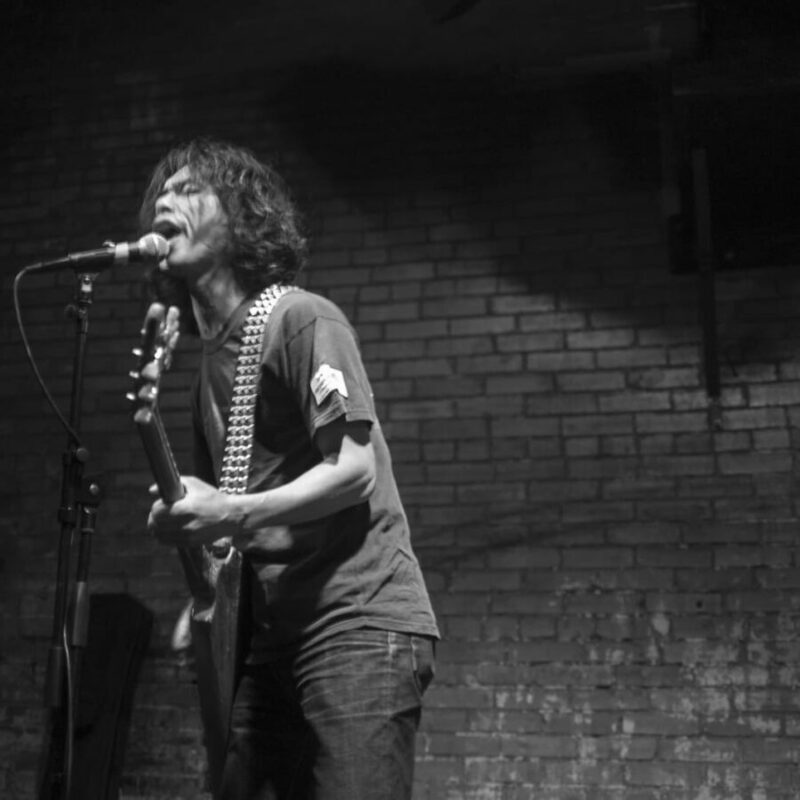 They met their future drum­mer Tomoharu “Gian” Ito after 1 of their early bands broke up, dur­ing Kazuto’s short stint as a ses­sion bassist for a funk band. 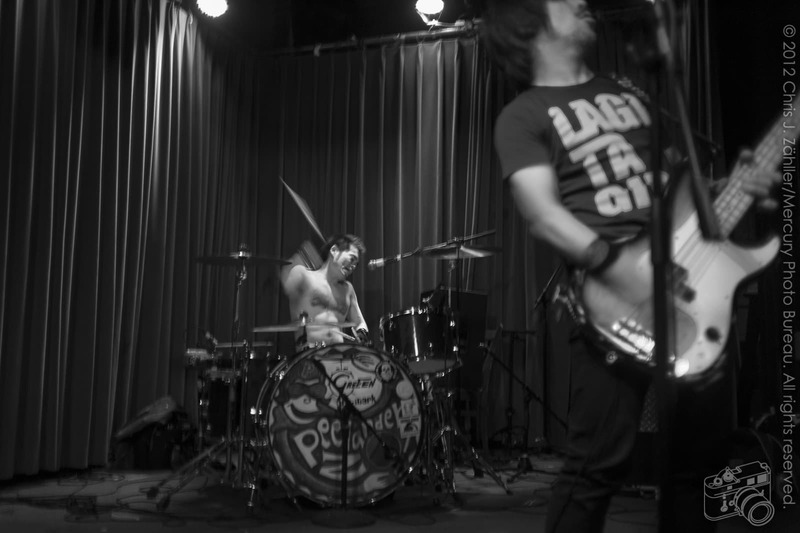 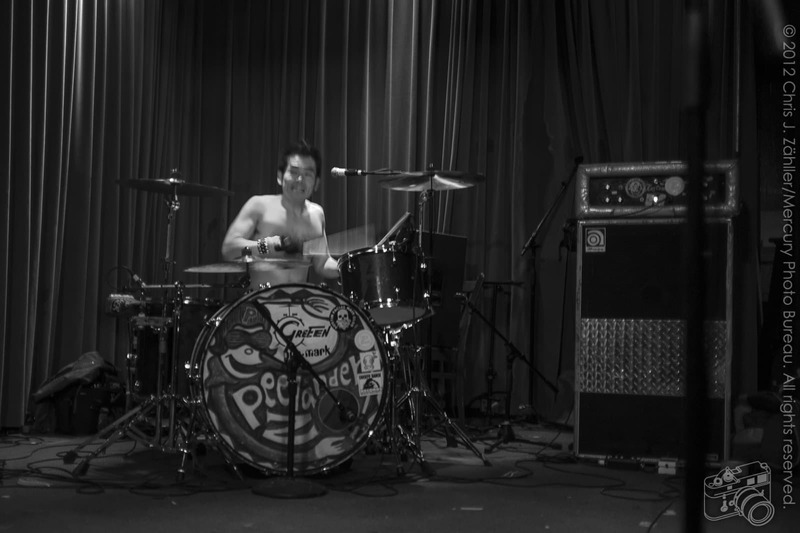 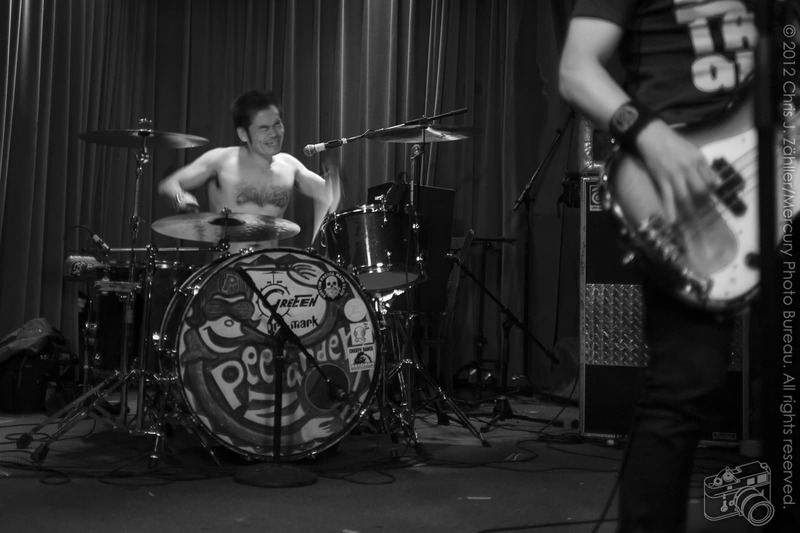 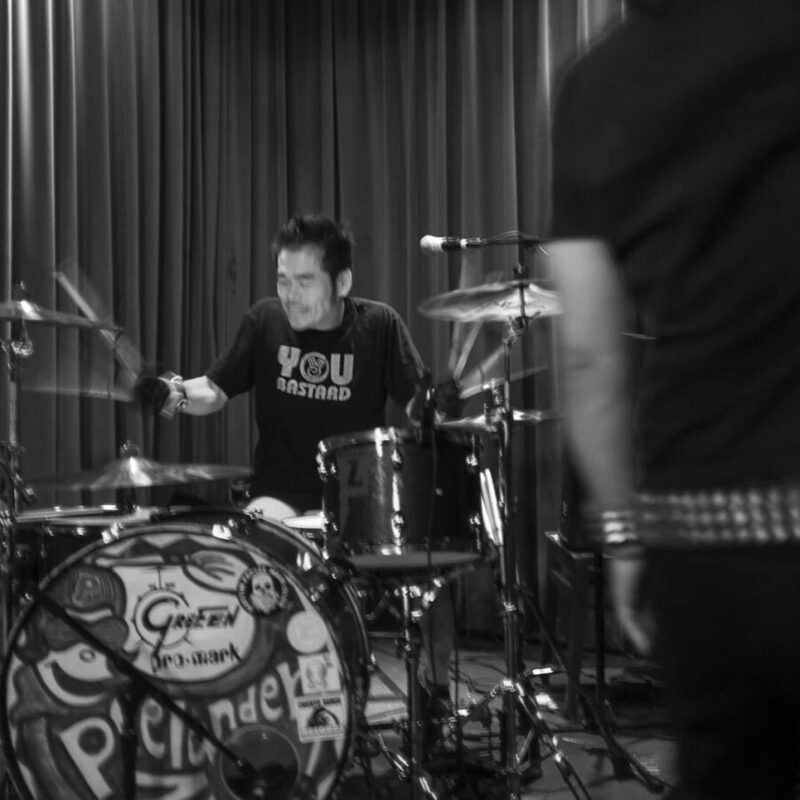 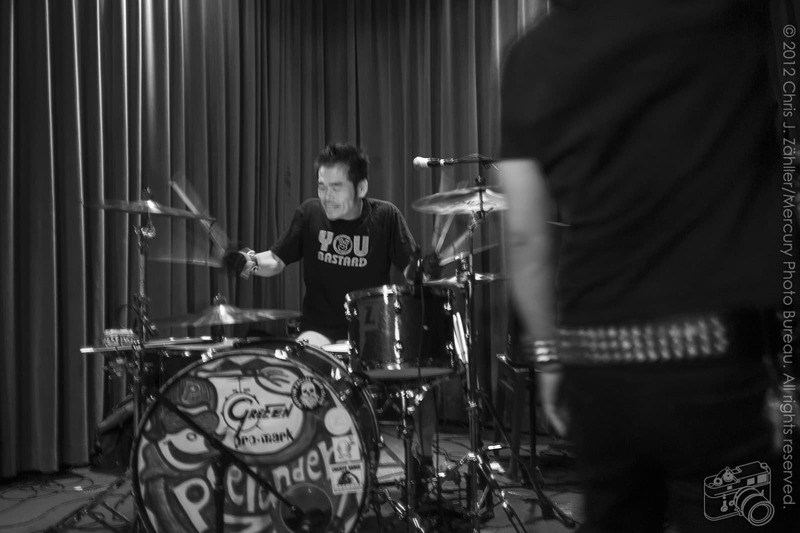 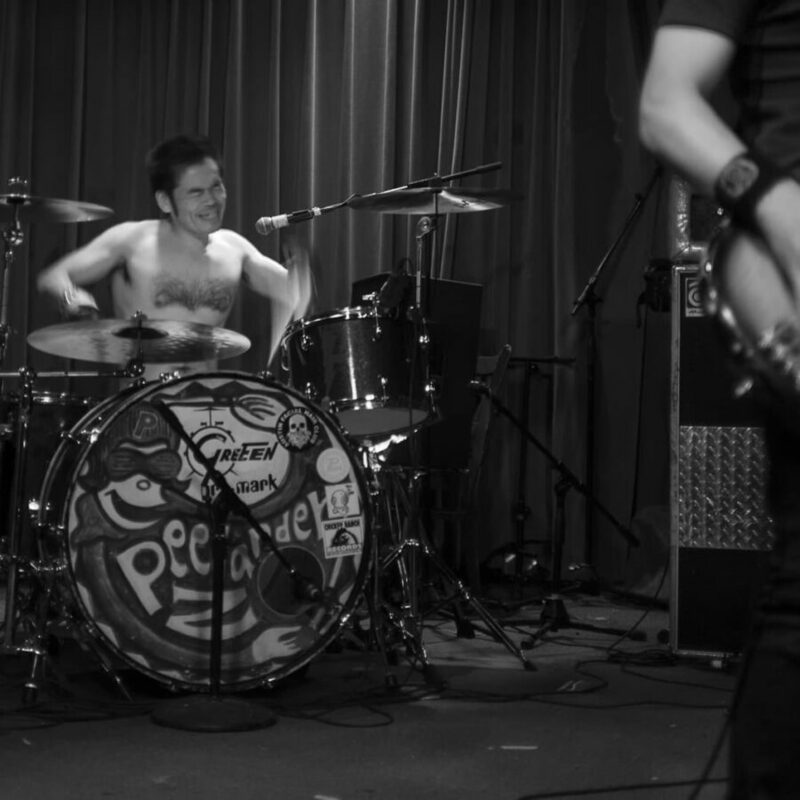 Immediately after their first song, drum­mer Tomoharu stripped com­pletely naked, except for a yard-long tube sock cov­er­ing his male mem­ber, and played the rest of the set that way. 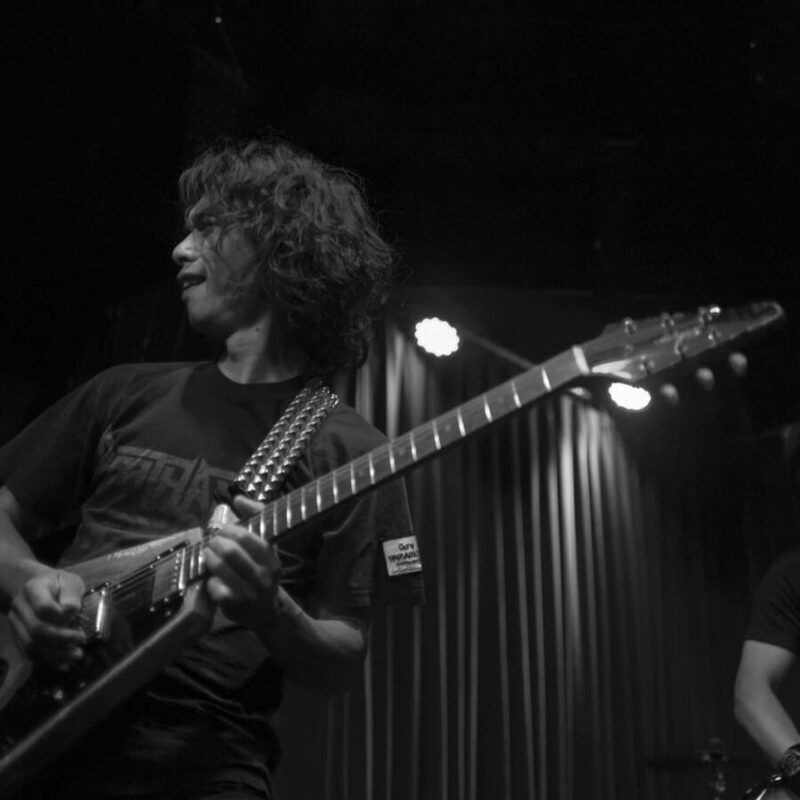 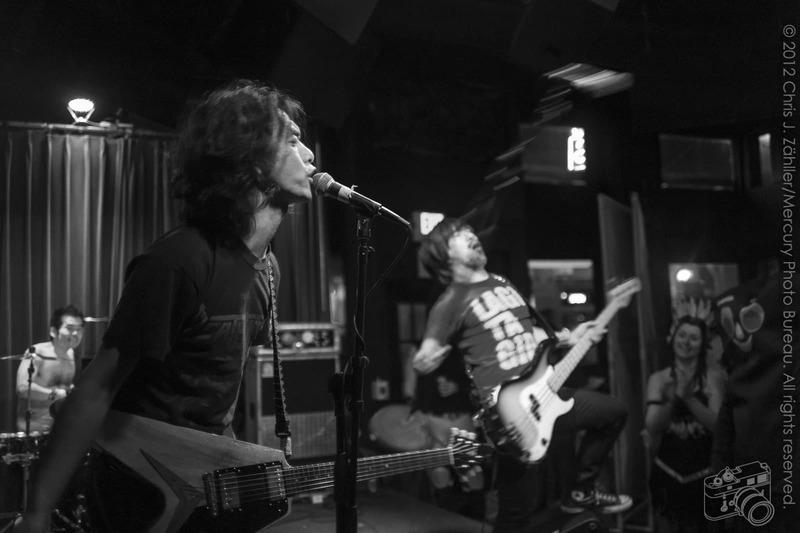 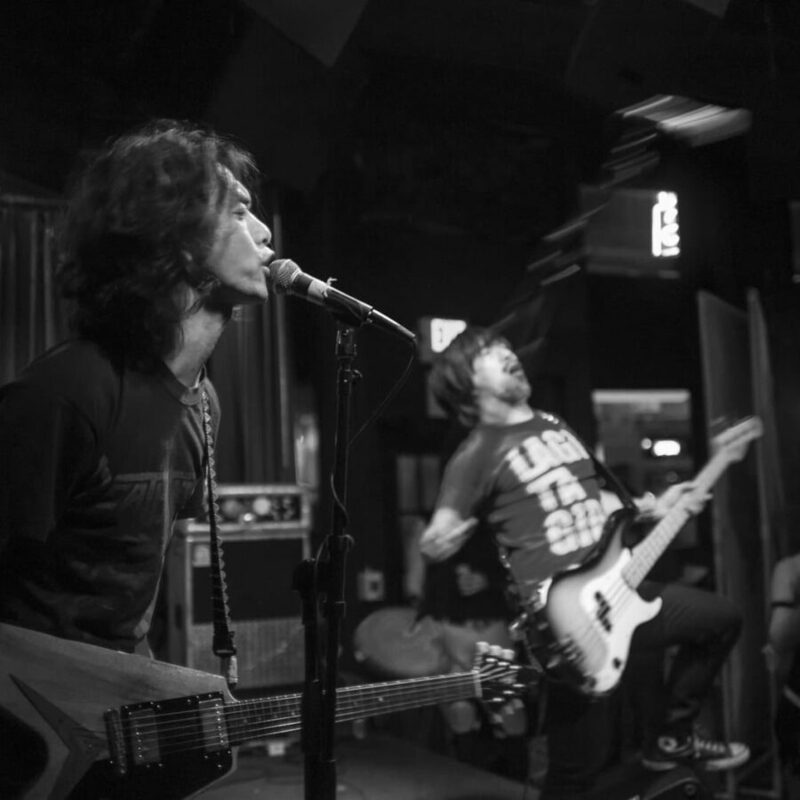 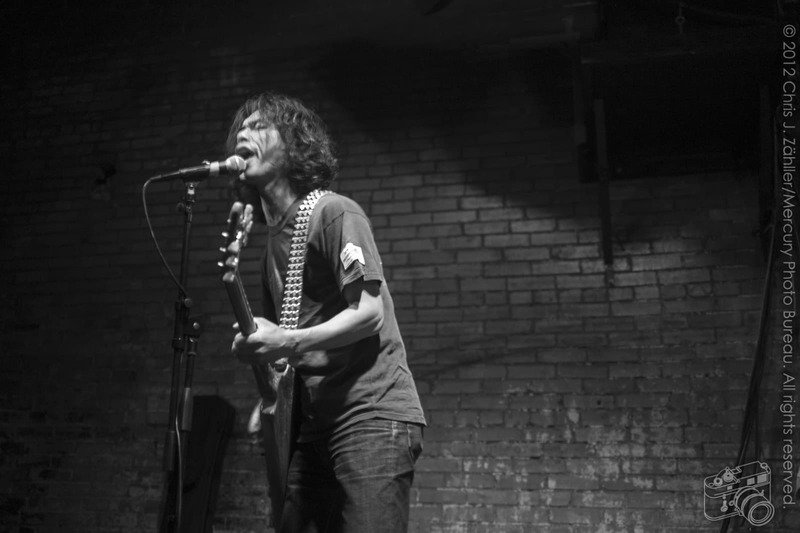 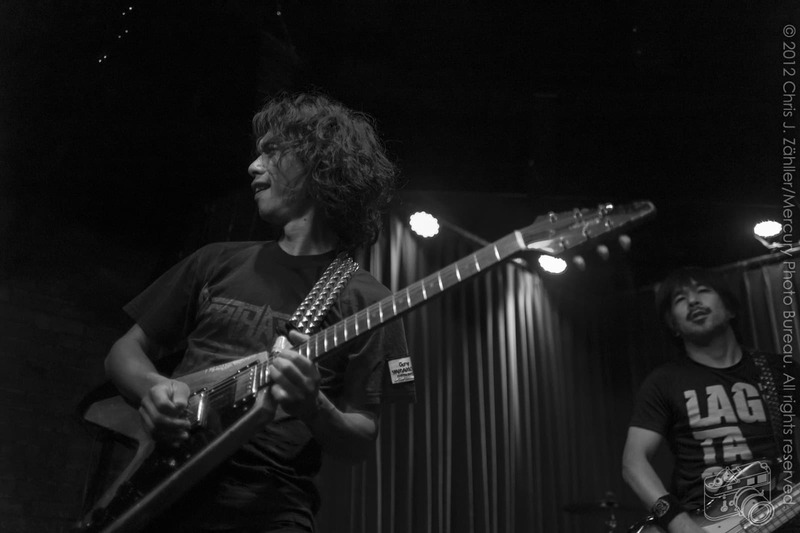 Electric Eel Shock’s blis­ter­ing per­for­mance included var­i­ous orig­i­nals, mixed with a healthy dose of ’70s and ’80s metal cov­ers. 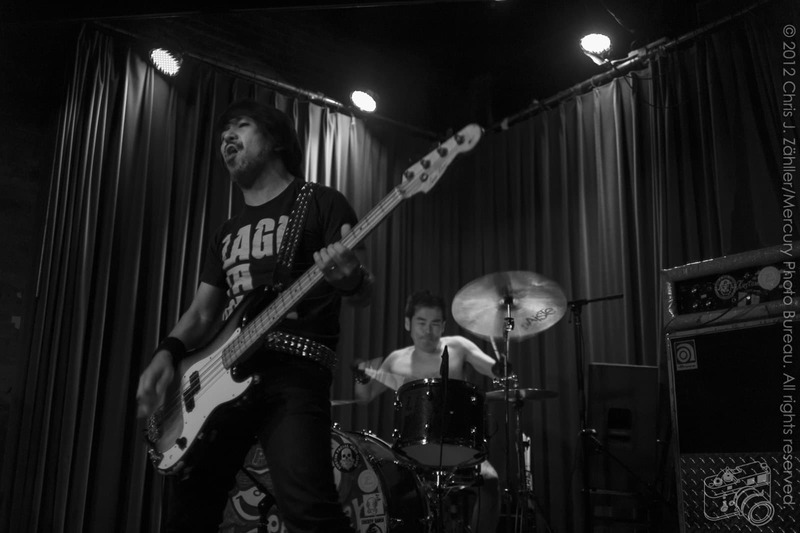 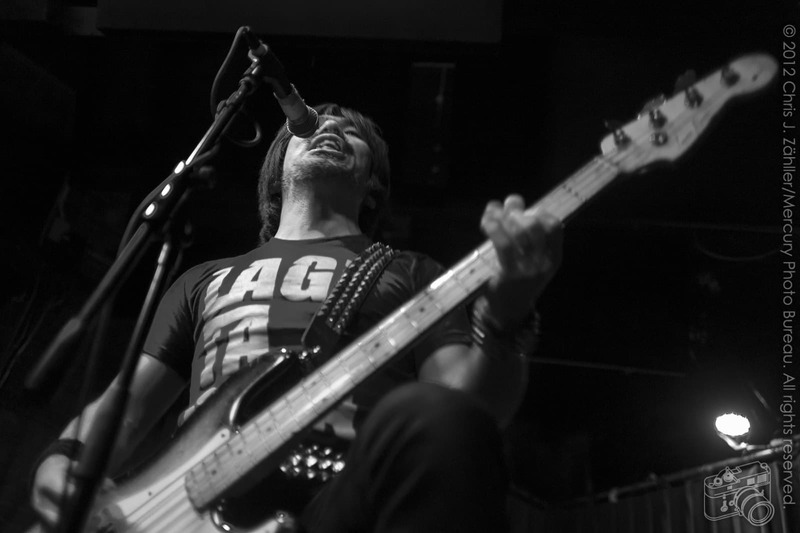 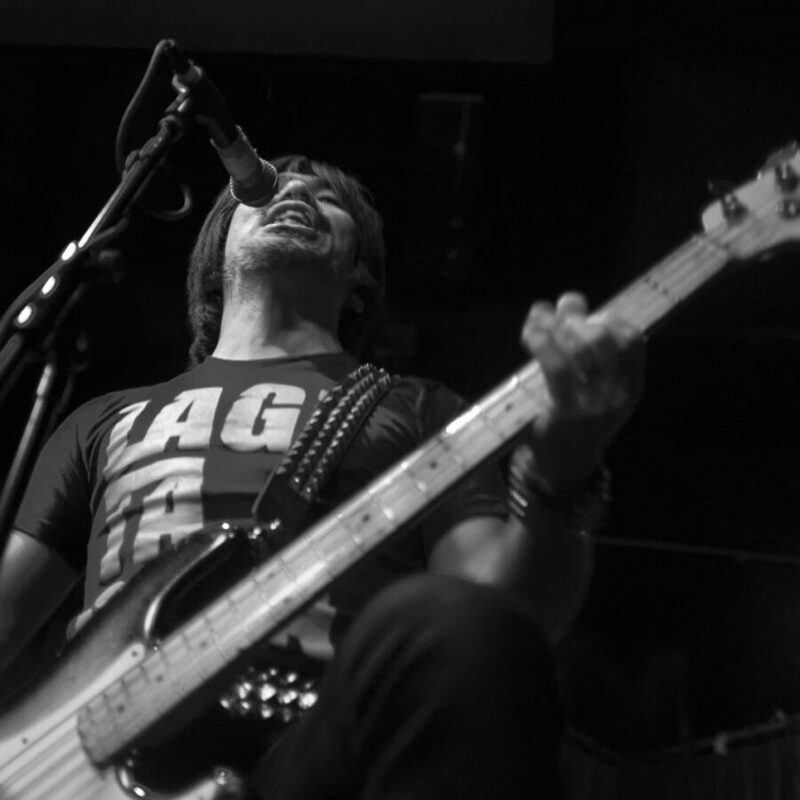 Their short, ener­getic set was made of equal parts sweat, bom­bast, and kinetic dis­play. 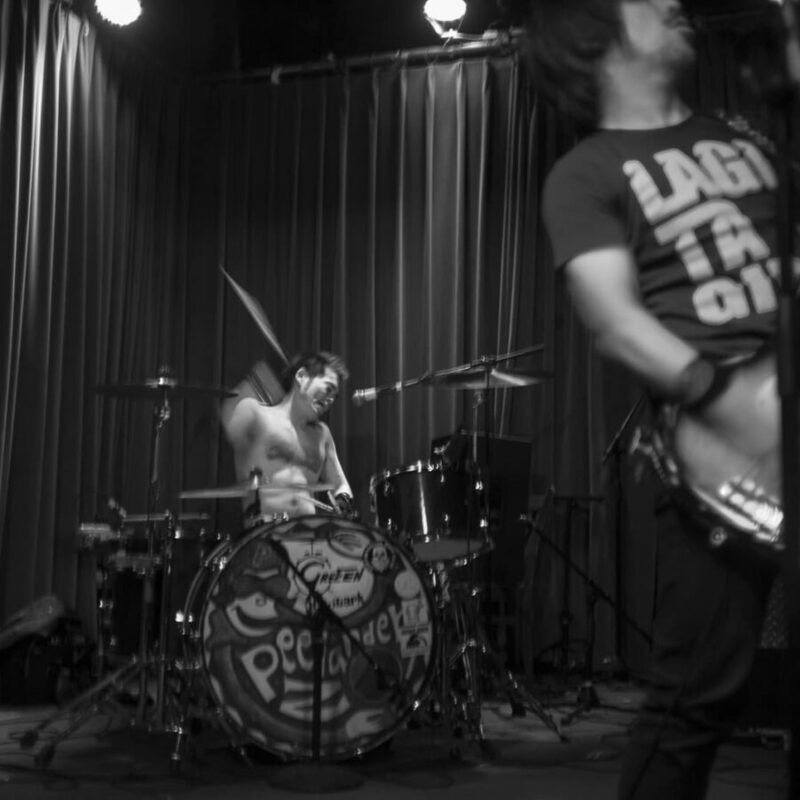 Striking every stereo­typ­i­cal rock pose in the book, they made it seem like they’d invented them. 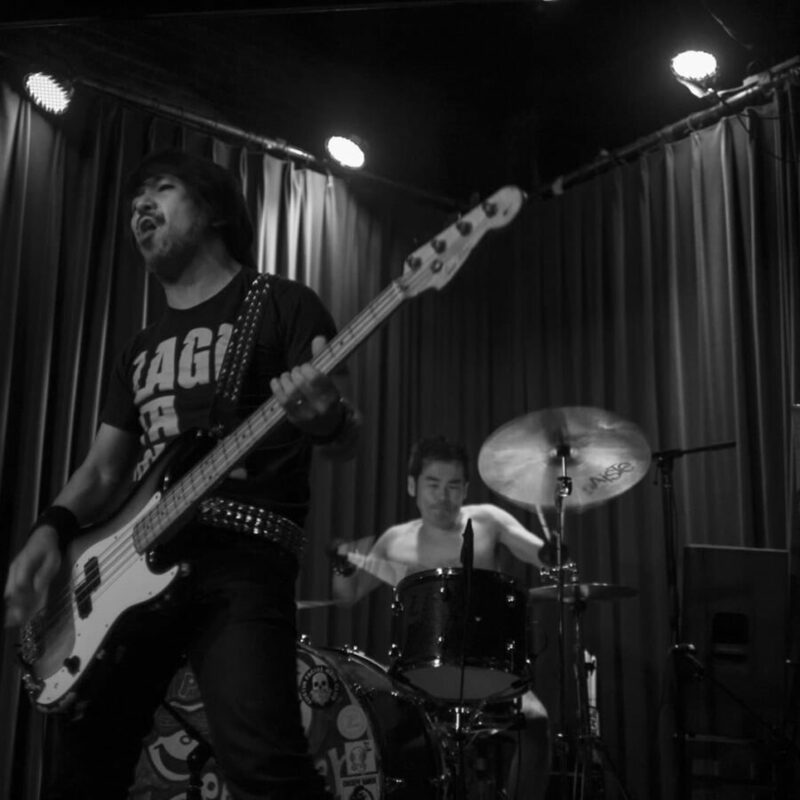 If you like your music loud, tight, and fast, I highly rec­om­mend you check these boys out the next time they’re in town.